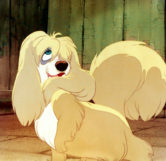 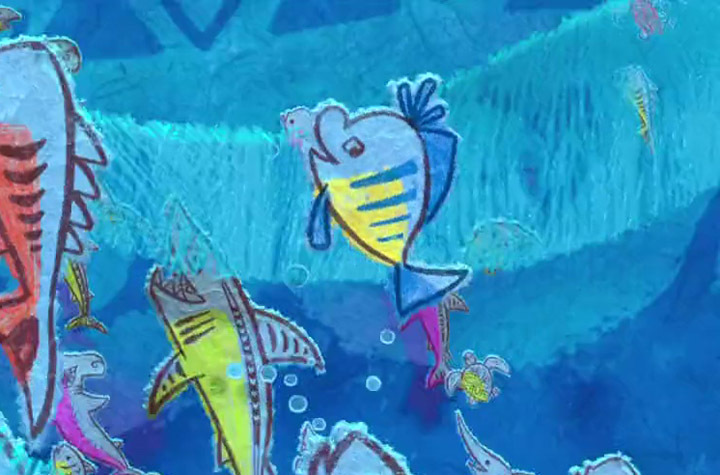 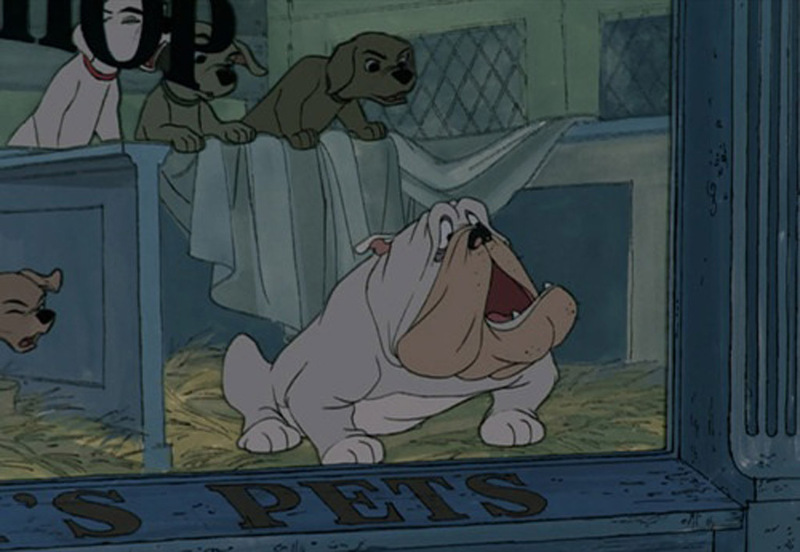 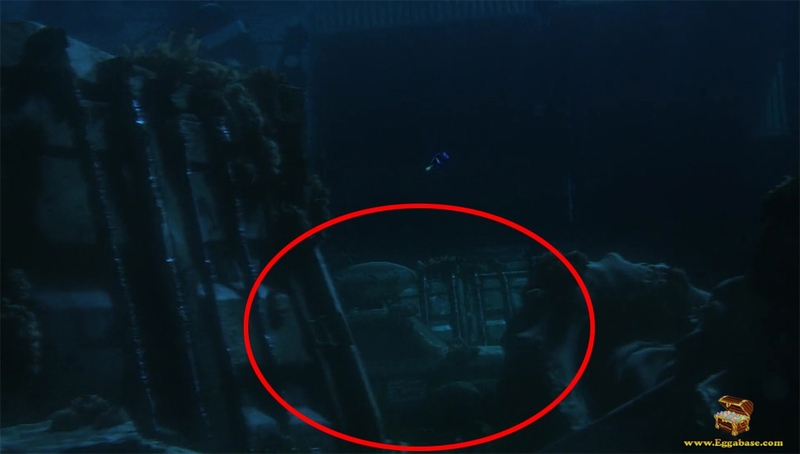 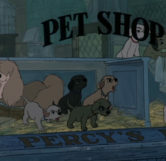 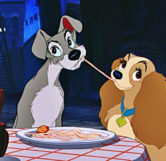 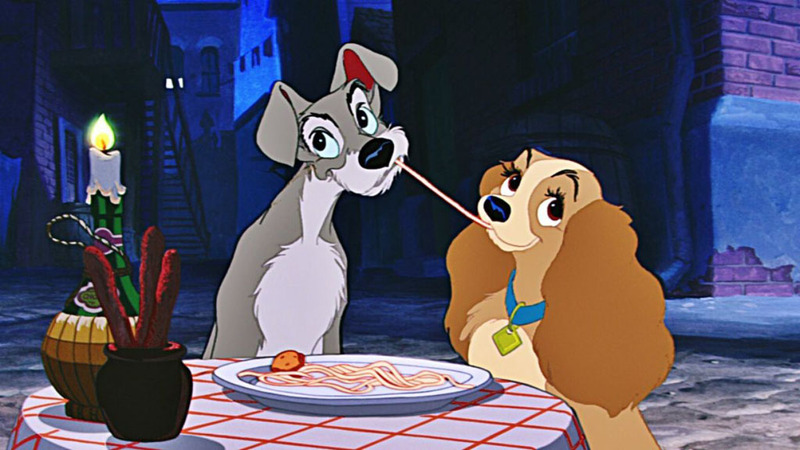 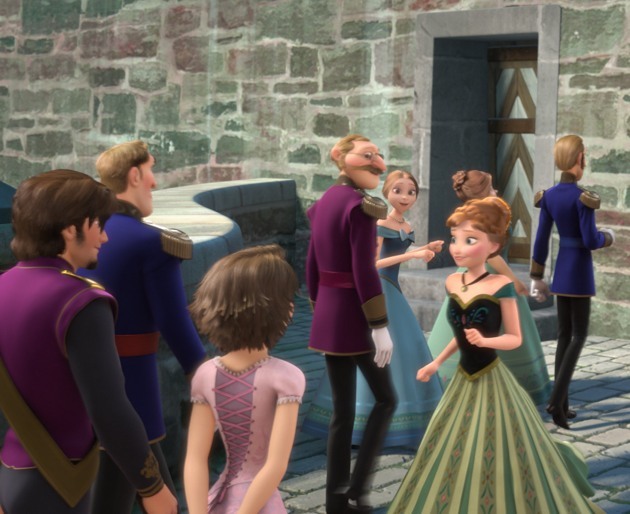 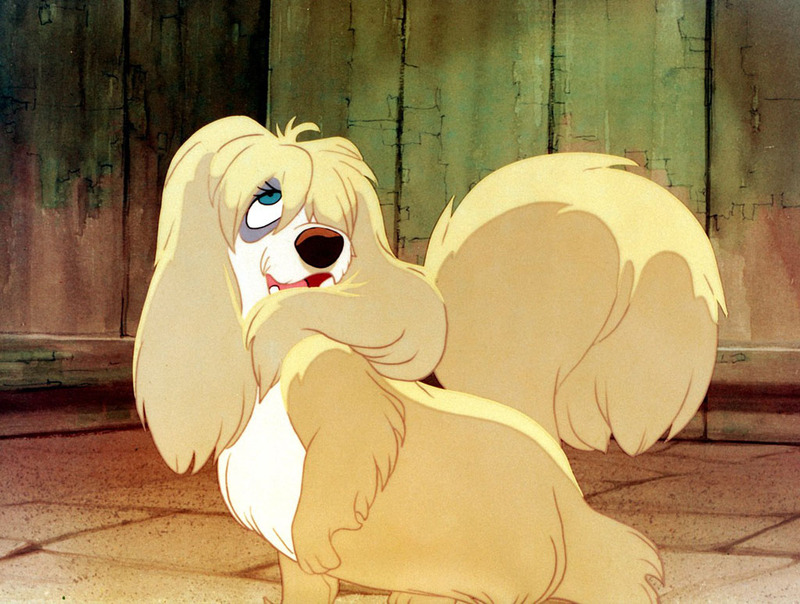 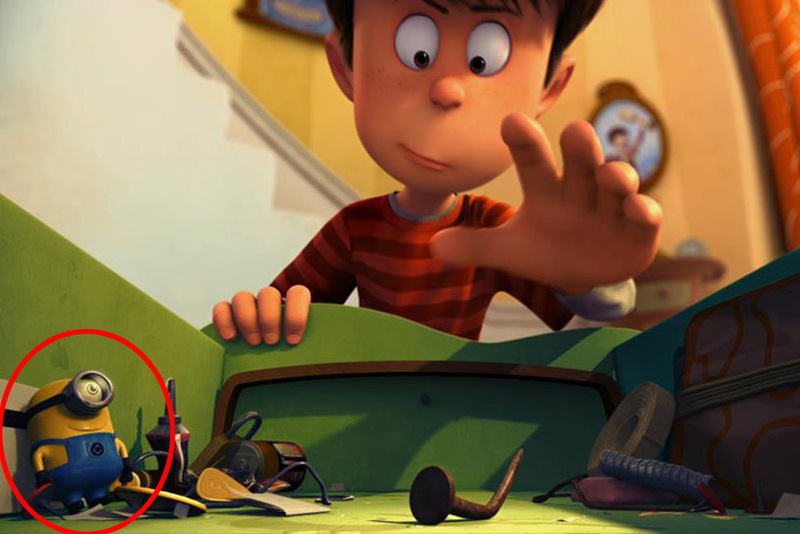 Multiple characters from The Lady and the Tramp can be seen. 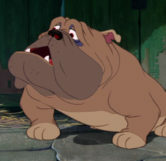 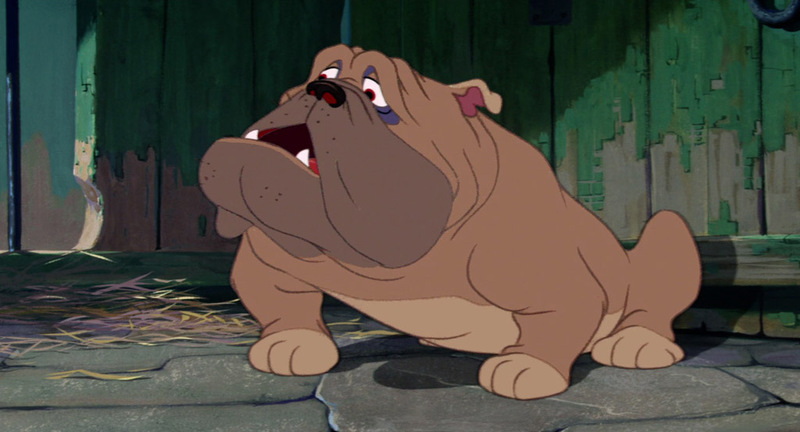 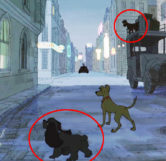 At about 35 minutes or so into the movie, when the dogs across London are sounding the “Twilight Bark”, several characters from Lady and the Tramp are shown to be helping spread the word. 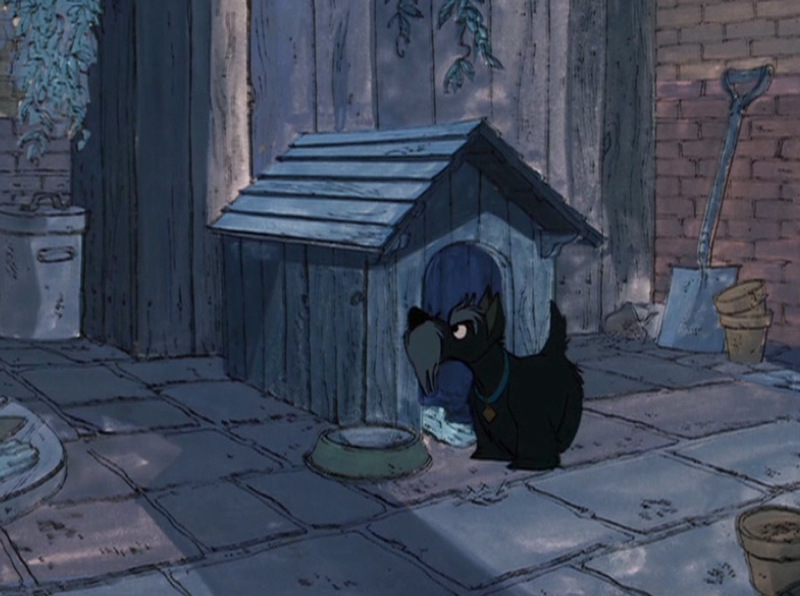 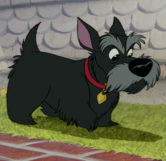 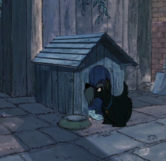 The first character is Jock,a black Scottish Terrier who can be seen coming out of a doghouse before barking up a downspout. 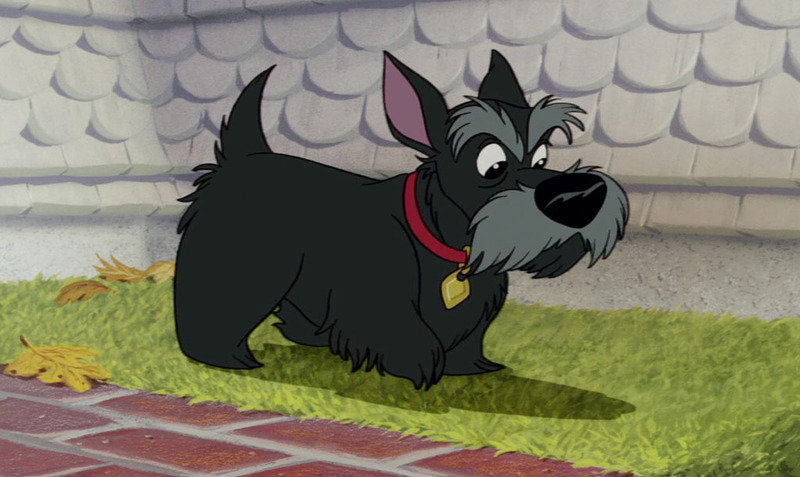 He can easily be identified by his collar. 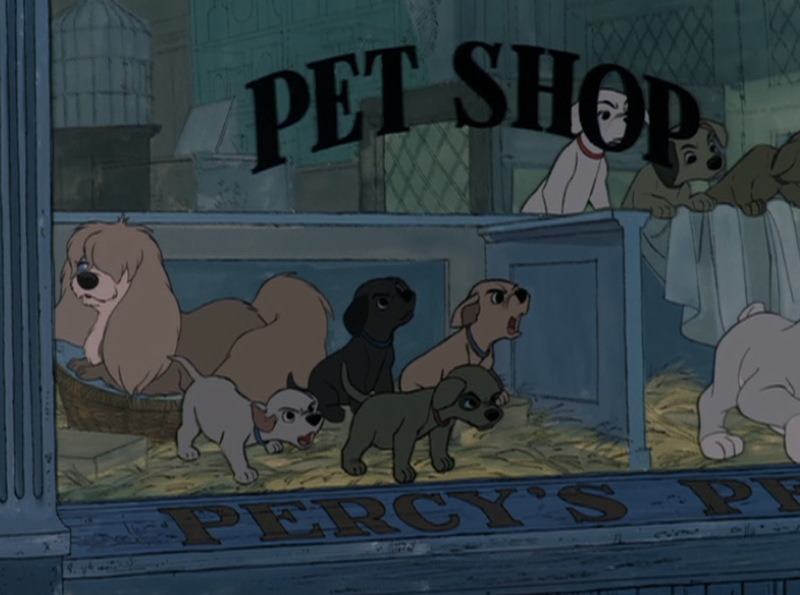 The next 2 characters are found in the pet store window. 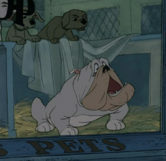 One is Bull, the bulldog and the other is Peg, the Shih Tzu Maltes, both of which were in the pound with Lady. 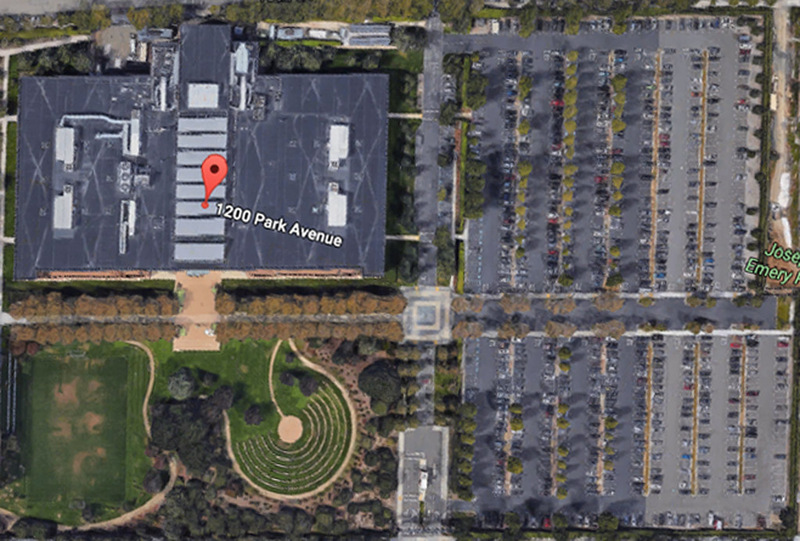 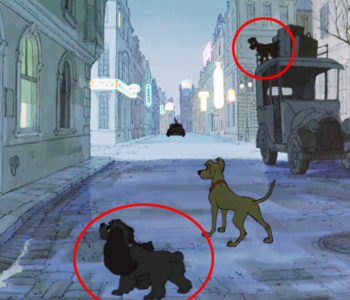 Then lastly, Lady and the Tramp are visible in the scene after the car passes. 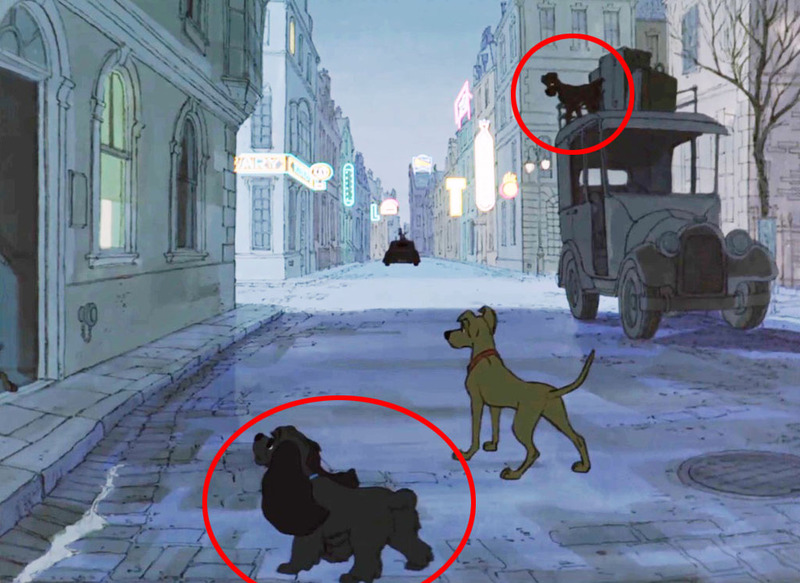 The Tramp is seen as silhouette on top of a truck to the right and Lady appears on the street below in the shadows.